To the non-fisherman, it might seem peculiar that one would spend so much time tying a fly, using only thread, feathers and fur, with the intent of fooling a fish into eating it. However, fisherman have been doing just that for centuries. Nothing is more satisfying than catching a fish on a fly you have tied yourself. 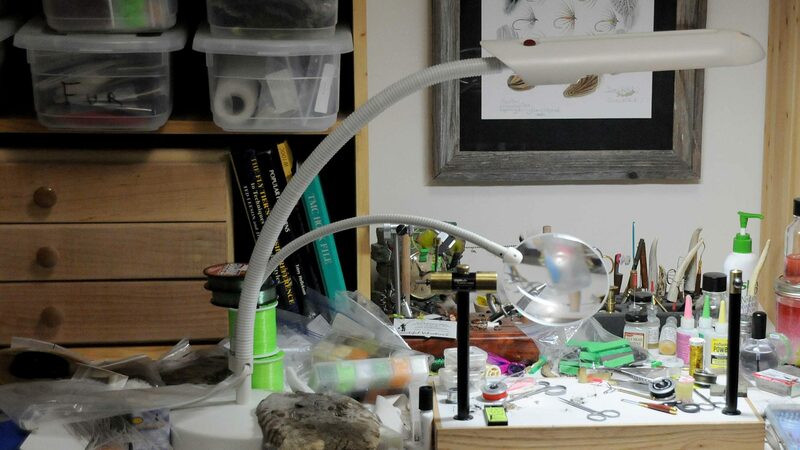 Fly tying has been called an art. However, it is not difficult to tie flies, nor should it be expensive. Like most endeavors, a little coaching can go a long way. That’s the purpose of BugCrafters website. Here you will find detailed tying instruction, not just a recipe. We will not show you “the way” to tie a fly but we will show you “a way” to tie a fly. In addition, each step is demonstrated with video that you can watch as many times as you need. You can learn at your own pace. Each fly in the Beginners Fly Patterns section has been selected to demonstrate a specific tying principle. When you have mastered each pattern, you can advance to next fly and learn additional skills. By the time you finish all of the flies, you should be able to tie many different fly patterns. These fly patterns were not chosen just to demonstrate a fly tying technique, they also catch fish.